IT’S HERE! 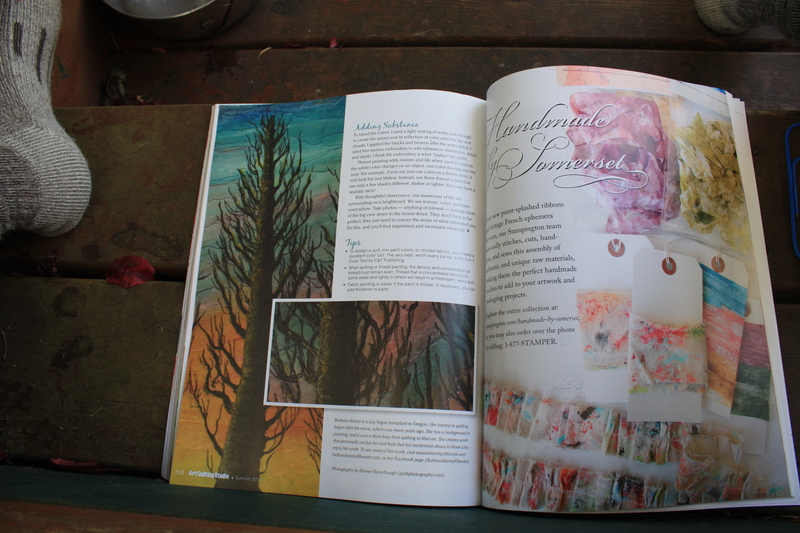 My issue of Art Quitting Studio has arrived. I’m in it. Pretty exciting. Opened it up, and there I was! My quilt and name, a whole 3 pages. I’m running out and buying several copies, before they change their minds. Do you think 50 will be enough? Just imagine, if it excites me when I order new business cards, you can imagine how over the top this makes me! 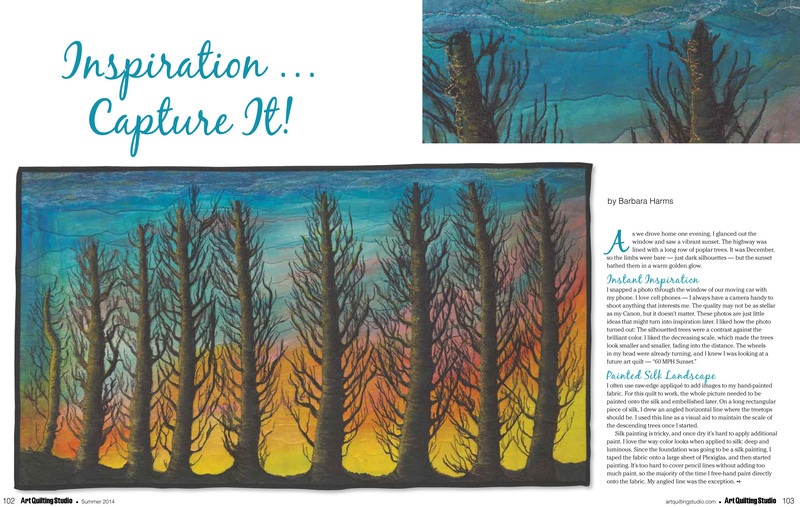 Here’s the featured article about the making of my art quilt, “60 MPH Sunset. Categories: Abstract and Geometric quilts, Blog posts, Gallery-Overview of my work, Landscape Gallery, Nature Quilts, Older Posts-, Recent Posts, Silk Paintings, Uncategorized, Uncategorized., What"s New? Change is Good, Growth and New Beginnings. Thank you Bonnie you’re always so kind and your comments I appreciate it. Congratulations, Barbara!! I can’t think of anyone more deserving of this honor. They titled it perfectly, too. Your work is so inspired, it naturally inspires those who see it, too…like me! Bonnie you’re just too sweet, thanks!